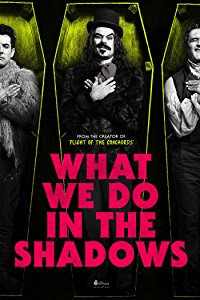 Vampire Beauties: Vampiress Review: "What We Do in the Shadows"
Vampiress Review: "What We Do in the Shadows"
The Gist: A mock documentary documenting the lives of several vampires living together in a flat in New Zealand. Selling Point: It's a decent comedy. Female Vampire Factor: All the main characters are men. In fact there are barely women in the movie at all let alone ones important to the plot. 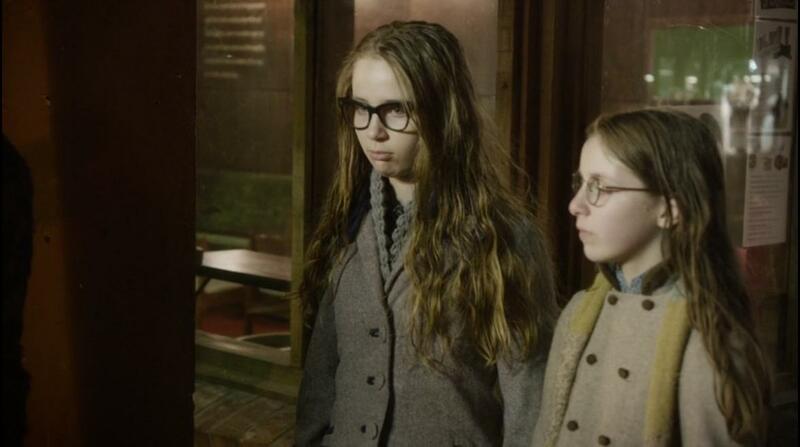 In the films beginning the first time they go out on the town they do interact with a few as they explain how there are others in New Zealand. The next instance after that is a vampire antagonist they meet at a vampire masquerade ball who tries to kill their human friend. And finally Jackie (Jackie Van Beek) She is a familiar to the main vamp in the house who does all his bidding in hopes of getting turned one day. After the film is over you find out in a mid credit scene that she had been turned and has now made her husband her familiar. It's not a bad comedy at all so for that it's watchable. As far as a Vampire Beauty Rating it's a 2 out of 5.